Multi-Layered protection is hugely important for businesses to protect their email networks from attacks. With businesses moving to cloud based email platforms like Office 365 and Gmail, they are facing new email threats. This includes sophisticated attacks, like phishing and business email compromise. But they are also still facing the same threats as they have in the past with spam and malware coming through email networks. The second is their post-delivery protection platform. This is the advanced new technology that helps businesses using Office 365 protect themselves against sophisticated attacks like Business Email Compromise. “Two years ago, we decided to take our understanding and knowledge of email security and apply it to the new email security threats at the inbox level.” For this component, users can report suspicious messages to EdgeWave for them to classify. They will then quarantine this message. This is their inbox detection platform, known as ThreatTest. The final layer of protection EdgeWave offer is their incident response component. This component looks for all the copies of harmful emails that users have reported and removes them as well. Despite not being the most effective way to stop phishing threats, it’s clear that Gateway technology is not going away anytime soon, at least in terms of the EdgeWave platform. Phishing attacks are one of the key issues facing business at the moment. Randall argues this is why the Incident Response element is so important. Is multi-layered protection important for businesses of all sizes? Some small business may think that multi-layered protection is something they don’t need. We’ve been told by other industry leaders that up to 80% of businesses using O365 may have no extra email security whatsoever. How is the EdgeWave Platform different to other Post-Delivery Protection vendors? Expert Insights has identified a growing number of vendors in the market of providing post-delivery protection to give businesses protection from advanced email threats like phishing. 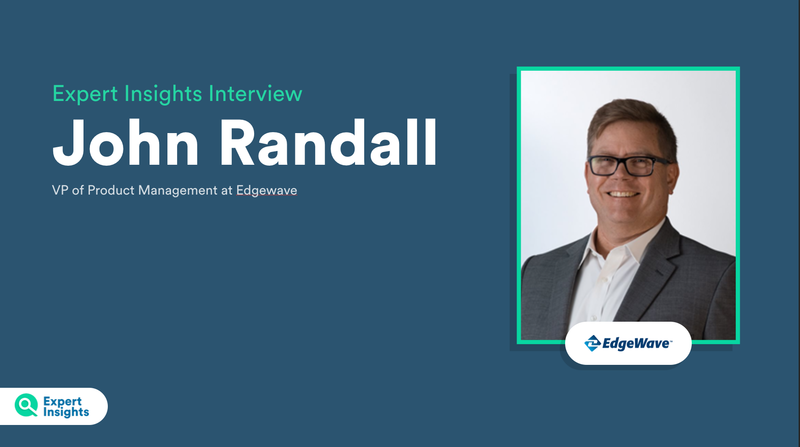 There’s a lot of choice for customers who are dealing with phishing attacks, and so we asked Randall what made the EdgeWave platform better than these other vendors. EdgeWave’s platform offers users a simple way to report phishing emails which promises to remove them from an organisation entirely if they are deemed to be malicious. This seems to remove, or at least reduce the need for something like Security Awareness Training, which aims to teach users to be more aware about security concerns. If end users can simply hit a button in Outlook to get a phishing email removed, do they still need security awareness training?